Emma Hurst is a Registered Psychologist and has been involved in animal welfare for 16 years. 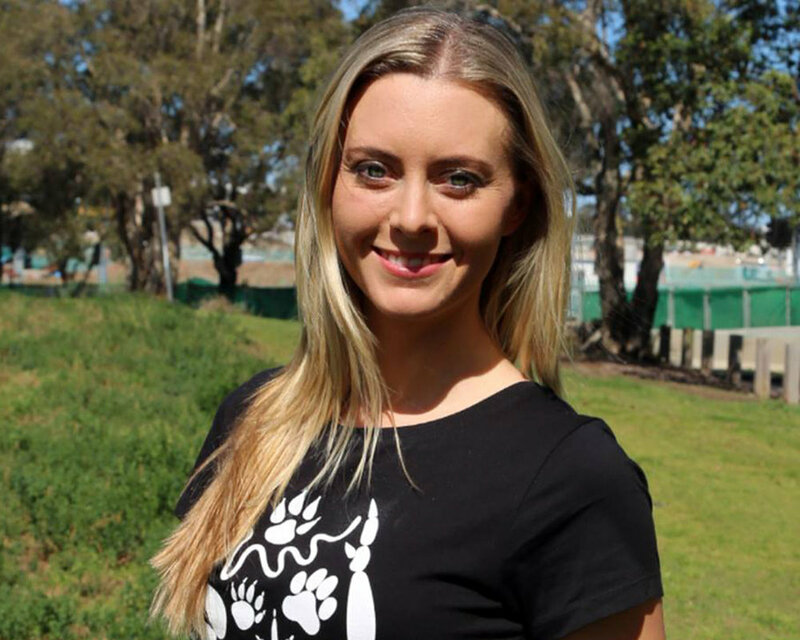 She is now running for a place in the Animal Justice Party, as an opportunity to seek proactive legislation that will serve to protect animals and the environment. The political Animal Justice Party focuses on lobbying for the adoption of animal-friendly policies by other political parties and providing a political focus for those animal issues that other parties ignore. It is an important move in this social justice movement to have someone in parliament that is able to bring a voice to the billions of animals that we share this planet with. Can you please give us some back ground on the history of The Animal Justice Party? The Animal Justice Party actively campaigns at a government policy level against animal atrocities relating to wildlife destruction, factory farming, live export, companion and domestic animal abuse, and the use of animals for sport and entertainment. We advocate for the toughening of animal protection laws, an increase in penalties for convicted animal abusers, regulation and restriction in the sale and use of companion animals, and for enhanced education in the treatment of animals. We believe that through the formation of the Animal Justice Party, and with the support of the many like-minded, concerned animal lovers (and voters) throughout Australia, real and urgent changes to the way in which animals are treated can be made. We have two elected Members - MP Mark Pearson in NSW and MP Andy Meddick in VIC. Have there been animal welfare focused political parties overseas that have had success and can you fill us in on where/what they have achieved? Yes, Party for the Animals in the Netherlands was the first political party to have a member elected on an animal platform. They now have five elected officials in the House, two in the Senate, one in the European Parliament, and eighteen in provincial councils. Since the party gained its first seat in 2012 issues around animal welfare and the environment (issues that had previously been ignored by other parties) started to be addressed and considered. The Government realized that these issues were vote winners. We are seeing the same happen in Australia - parties that supported live exports and battery caged hens (or who were at least happy to ignore this cruelty) are now creating party policies on these issues and even campaigning to have them end. Do the Greens cover animal welfare issues? The Greens have fallen short on animal issues for many years now. That's why the AJP exists; if The Greens had acted on many animal issues the AJP would never have made it off the ground. Animal advocates were not happy about many of The Greens policies, or their lack of attention to animal issues. The Greens support the mass slaughter of wildlife, cruel poisoning methods, aerial killing of horses, and they still fail to recognize animal agriculture as a leading cause of climate change. What are the stances Labor and Liberal Parties have on animal welfare - both on wildlife and farm animals. Before the Animal Justice Party existed it was hard to get either of the major parties to even consider animals. The Liberal party are influenced heavily by the National party and therefore support all intensive farming practices, do not support the legal phase out of cruel farming methods and support the killing of our wildlife by means known to cause unnecessary and prolonged suffering such as the use of 1080 poison. The Labor party have now come out in support to an end of live animal exports. That has been a major progress over the last couple of years, but the Labor party still fall short on other animal advocacy issues including ending intensive farming, addressing the climate change issues associated with animal agriculture and the killing of our native wildlife. Check out this graph put together by Animals Australia. Do you believe we can have political focus and influence on ethical issues such as animals and environment and still successfully govern with economical growth and social support? Ethical practices and environmentally friendly policies and law do not have to compete with economic growth and social support. In fact, we are seeing that as people change their diet voluntarily, there is also a huge economic growth in plant-based products. Meat substitutes are estimated to be worth $5.1 billion by 2020 and plant based milks are estimated to make up 40% of all milk products in the next three years (see this great article) What Government needs to focus on is supporting these industries to making the switch to more humane and sustainable practices for the future of our planet and for future generations. The AJP wants to work with industry to help support these transitions and to ensure businesses remain viable while no longer harming animals or the planet. There is a lot to do- but that is exactly why we need to get more MPs in Parliament now so this process can start. In your many years in animal rights can you describe on of the biggest changes you have noticed? I went vegan (plant-based) 19 years ago. Many people had no idea what that even meant at the time. My diet was all wholefoods, which was very healthy but many people thought it would be too hard for them as they would miss cheese, miss ice cream, or other foods they had grown accustom to. Now you can get all of these foods in plant based form at your local supermarket. Even fast food chains are catching on, for example, you can get vegan cheese at any Dominoes Pizza. This year millions of people have taken up veganuary in recognition of the impact our diet has on animals and the planet. 2019 is certainly the year of the vegan! What are three of the biggest issues Australia is facing right now when it comes to animal welfare? Farmed animals are treated abominably in this country. We have some of the worst animal welfare laws in the world, and so much of it is hidden from consumers. Most hens are still being farmed in battery cages where they have no room to move or even stretch their wings, millions of chickens are being bred to grow so big so fast that their legs break under their excessive weight, and pigs are still farmed in barren dark sheds and held captive in sow stalls. These are the issues causing the most amount of suffering to the greatest number of animals in this country. Australia is also living in the dark ages in many other areas- 42 countries around the world have banned the use of wild animals in circuses, yet here we still cart them around the country to perform humiliating and often painful tricks. We also have some of the largest number of animals used in medical experimentation anywhere in the world- and that number is increasing each year. The issues can feel overwhelming, but that's why it is time for change. Personally for you, what has been the driving force that has got you to want to move into politics and why do you think you will be affective in the role? I've been involved in animal advocacy for over a decade now, and I see how slow education and public persuasion is for changing the way animals are treated. Gaining political power and political influence will be a huge game-changer for the animal advocacy movement. It not only generates more press and public thought, it has the potential to change laws and policy around the ways animals are treated in this country. I'm seeking a spot in Parliament because I truly believe this is an area we can create fast change for animals - I would love to see some huge changes in the very near future in this country. Safeguard our KangaroosThere is no welfare monitoring in the commercial killing of kangaroos. We are calling for an urgent review of the industry and a rapid phase out the commercial killing of kangaroos. It is our priority that urgent action be taken to address climate change. Our solution includes protecting existing natural habitats, clean energy solutions, and sustainable plant-based agriculture systems. The greyhound racing industry kills up to 17,000 health dogs each year. We will fight to re-instate the ban on greyhound racing and to ensure your tax dollars are no longer used to keep this cruel industry running.